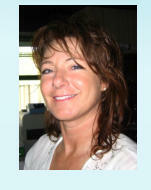 Silvia is a licensed Massage Therapist and or Bodywork in the state of Wisconsin. AMMA practitioner (Acupressure Massage) by the Healing Arts Center in Menomonie, Wisconsin Certified Breathing Coach Certified Pregnancy Massage Crainial Sacral Therapy Special Training in Sacoliac, Siatica and Neck Reiki Master Certified Registered (500)Yoga Teacher with the Yoga Alliance USA since 2001 “Certified Registered Yoga Therapist” with the International Association of Yoga Therapist USA. Neural Reset Therapy Born in Germany, Silvia has found her home in Shawano Wisconsin. She brings her strength and influence of nature, into her bodywork, demonstrating to clients the value of balance. Silvia shares her fascination and enthusiasm for Traditional Chinese medicine, anatomy and physiology as well as yoga. Silvia encourages each person to discover their own path to health. Appointments can be made for sessions at Wholistic Yoga Center and at Countryview Chiropractic Clinic in Shawano, Wisconsin. I have come to Silvia for Amma Therapy tired and achy and left totally relaxed and full of energy again. It has also helped me specifically with the lymphedema after my breast cancer surgery; it helps my lymph glands to do their job which has lessened my discomfort. Fay W.
A very different rejuvenating feeling of relaxation. The stress is completely gone. Shanon W.
Check out my Yoga website by clicking on image below. You may schedule an on line appointment by click on "booknow" button below.